Each week since March 2008, in order to motivate her to waste less food, Kristen The Frugal Girl, has posted a picture of any food that has gone bad over the last seven days. She found this embarrassing practice so helpful, to her, that she invited other bloggers to post their own photos, and Food Waste Friday was born. 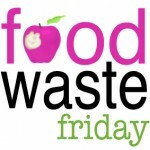 I started participating in October 2010 and have found, 3-years on, the amount of food I waste is minimal. Every Friday, as part of my No Waste Tastes Great routine, I account for all my potential food waste as well as confessing to any items that I failed to save. 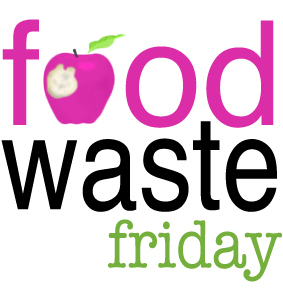 Kristen kindly asked me to host Food Waste Friday, alternate weeks and her initial invite for everyone to join in is cordially extended here! Top and bottom of it is I have no waste! Yay! It was touch and go Sunday when I discovered some deteriorating fruit in the bowl. But as part of #saveitsunday I made a smoothie! Double Yay! You can see the fruit over at Instagram. But not the smoothie – it didn’t last long. We talk a lot about food waste on a Friday. But we also talk a lot about reducing food waste. One way to reduce food waste is to make a save. Click here to see Kristen in action last week. I have a few ways I make the save. One of these is to slow cook some soup. 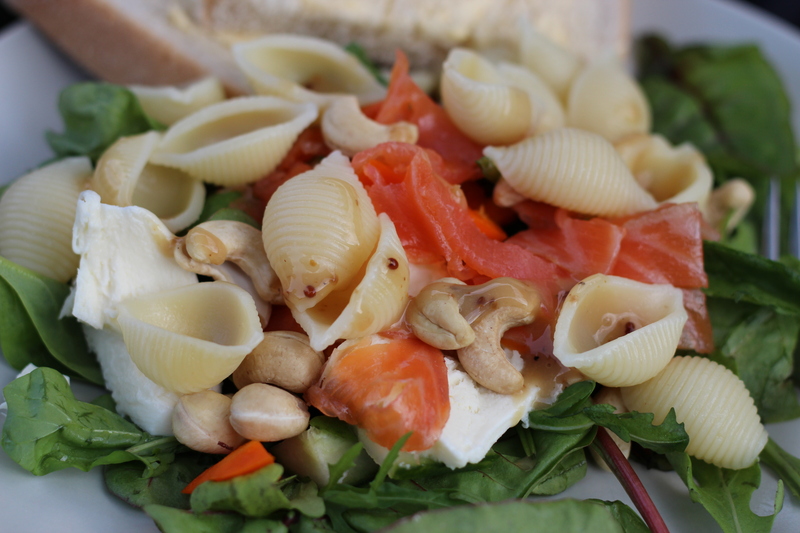 Another way is to rustle up a salad. This salad included leftover pan-friend chicken that was surplus to our fajitas the evening before. Cold an a bed of leaves – perfect! There are so many combinations. Pre-cooked fish is another great salad. 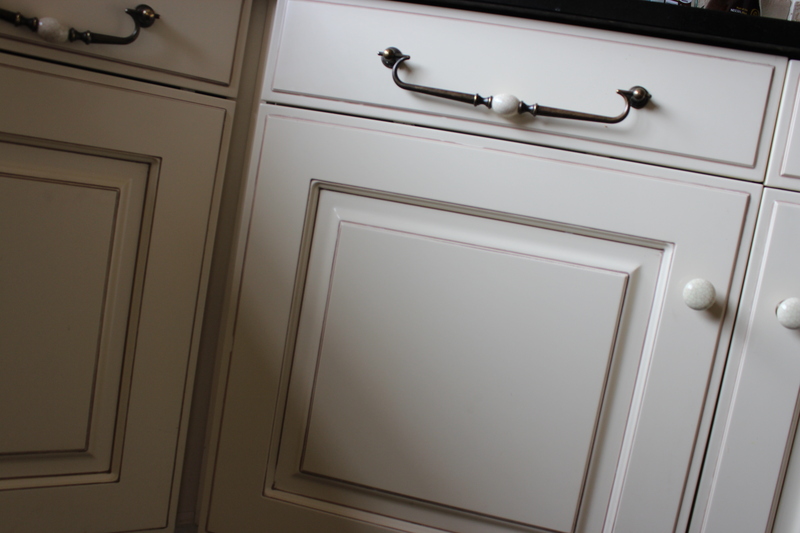 Ideal for when cooking isn’t an option, or an emergency meal as stocks run low. 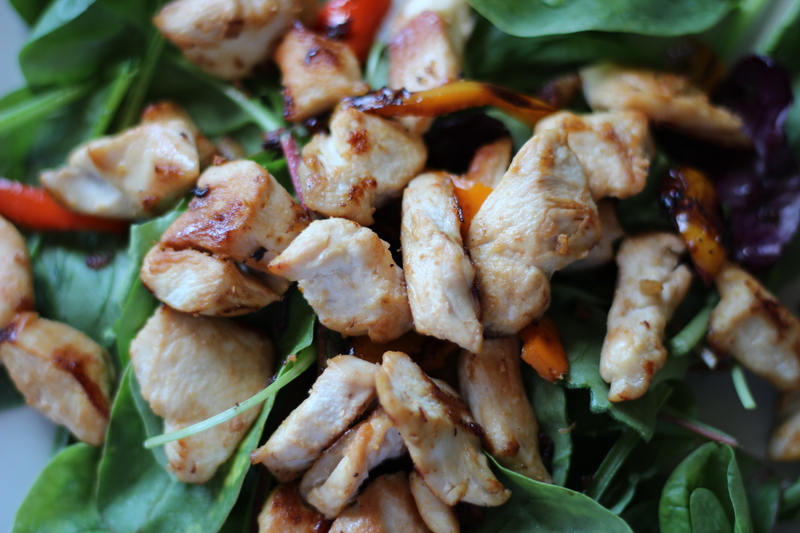 I blogged about my love of simple salads earlier this week! How do you make the save? What’s your ‘go-to’ dish for using up potential food waste? “How did you do this week? If you blogged about your food waste, link us up by entering your blog link into the comments section below. You’ll save money, reduce your trash output, and get a little publicity for your blog! And if you don’t blog, you can still share about your food waste by leaving a comment without a link. I’ve been joining in too! Nothing wasted because I was out of town. Yay for not wasting food. I froze all my perishables before leaving and it was nice to come home to frozen veggies. Salad is a great way to use up leftovers as is soup. I often throw any potential waste into a pot, lentils, beans or what have you and there you go.